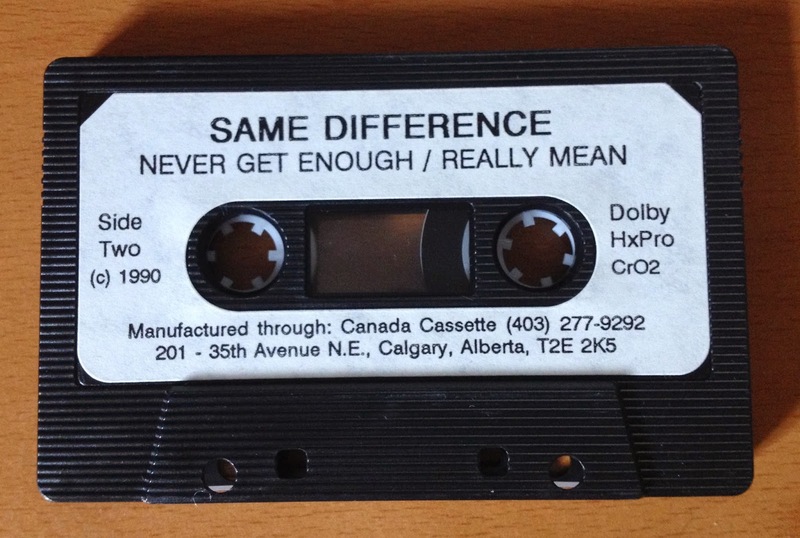 Here's another surprise from CP Walsh's box of treats - another tape from Same Difference! It looks like this was recorded after their first proper tape. We're assuming that the line-up is unchanged - we are, once again, dealing with a tape without a j-card. Same Difference shows were so exciting when I lived in Calgary in the late-80s: great songs and great singing.